Time Change: Troubleshooting Sleep Issues. 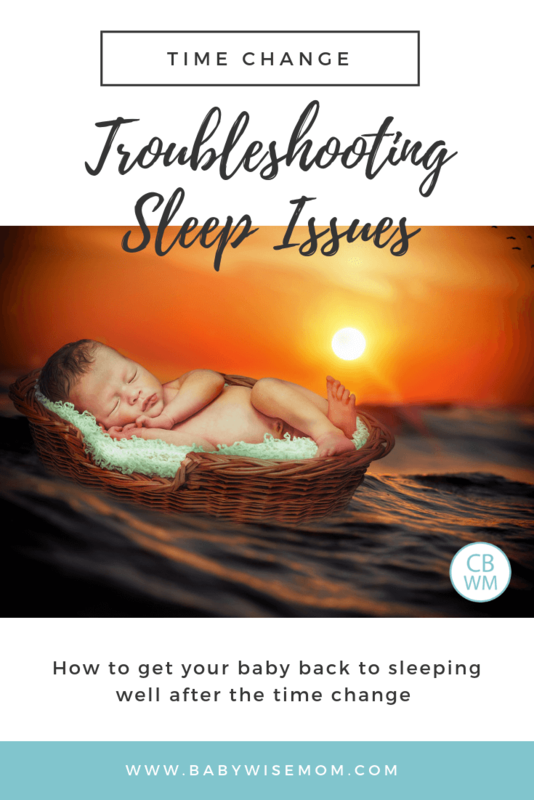 How to get your baby or toddler back to sleeping well after the time change and schedule shift. I am sure there are many of you out there who did or are experiencing difficulties that are a result of the time change. The fall time change can really be difficult for babies, toddlers, and preschoolers. Very few children will simply go to be an hour later one night and sleep in an hour later the next morning. For most children, later sleep only means disrupted sleep. A later than usual nap can turn out a shorter than usual nap. It is a challenging time of year. Have patience. 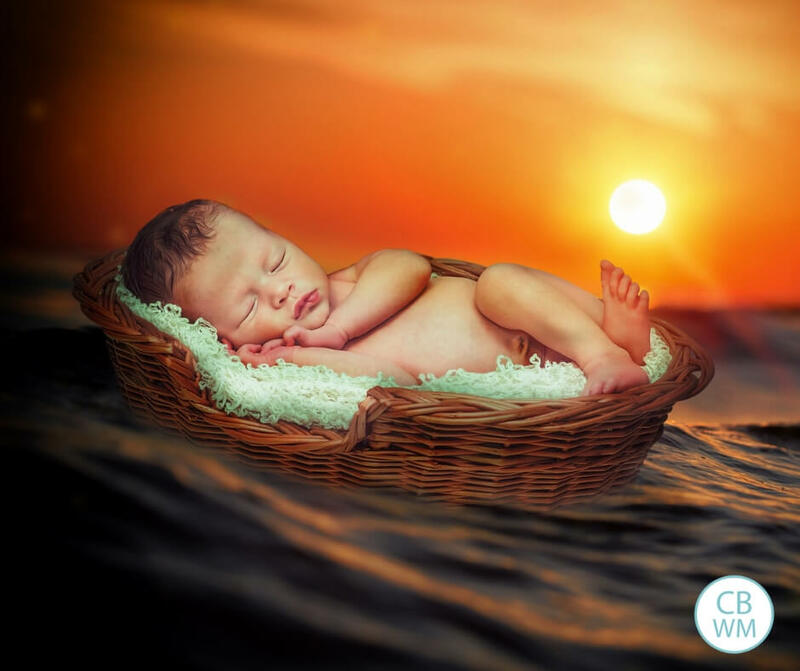 Most adults take time to adjust to the time change, so a baby certainly won’t be any different. Now that we are on the other side of the time change, you can still apply principles of my Time Change Strategies. Here are some key tips for making the transition as smooth as possible (if it wasn’t already). The metabolism is a big factor in what wakes the child. If your child is waking at the same “normal” time, which is now an hour early, or just earlier than desired, work on shifting metabolism. If your child will stay in bed happily even after waking, leave him for about 15 minutes at first for a few days (or a week) to get him used to eating a little later. If he won’t stay in bed, get him up but wait 15 minutes before feeding. Continue shifting until you are where you want to be. You will have challenges all day with metabolism. Keep at it and things will improve. Bedtime is not the place to attack the time change. Focus on getting your morning waketime where it should be and the rest of the day should follow. Wait until your schedule is once again normal before dropping naps, dreamfeeds, feedings, etc. Once you are once again consistent, then you can start to change your other things you need to change. For example, I believe Brayden is ready to transition to rest time rather than nap time (yep, party’s over 😉 ), but I plan to wait at least one week before changing that. Don’t despair. It is normal to have disruptions this time of year. It is time to put some major effort into your schedule and get it worked out. You can get back to normal before too long. As always, you are a godsend. Thanks you for this very timely post. I have resigned myself to a couple of weeks of early wakings. I have a question for you. My 6 mo. old has developed this habit of sticking his hand in my face while nursing. I tell him “that’s a no” and move his hand. I know that he doesn’t have total control of his limbs but this is making me nuts. Any tips to divert that annoying little hand would be appreciated. Thank you for your post! Yea I have tried putting my baby down later, and she still wakes up at the same time (which you said not to do I just read!). She wakes up at NOW 6 (was 7) whether I put her to bed early or late. Do I just not feed her until 630 even though she wakes up at 6? How do I adjust the wake up time?Advice from anyone would be appreciated! hi there..this might be off topic but hopefully u can give your opinin ont this matter..im a working mom and i usually got home by 6.30 pm and that is after i pick my daughter from her babysitter…currently her bedtime is from 9 pm to 10 pm. it used to be late than this, but starting off this week im trying to put her on her by 9 pm. i know that usual bedtime is between 7.30 pm-8.30 pm. but my husband said that if we put her to sleep earlier then we dont get to chance to play and talk wif her, meaning there is no ‘us time’ there. i somehow agree wif him though i think the best bedtime is at 8 o clock. and she usually wake up at 7.30-8 am. she naps twice a day. what do u think of it? thanx. Thank you for this post. I wondered if there was something I was doing wrong since my son just isn’t sleeping longer no matter how long I wait to put him down but this morning was better…guess it just takes time! But always good to know that we are not alone. G’man’s mama – my son did the same thing at that time. My husband joked that he (our son) was wanting me to stop talking since he put his hand over my mouth! ha ha He stopped doing it though so I wouldn’t worry about it – it will pass. WOW, time changes are hard! My 6mo old is doing well on the schedule he was on before the time change, except for waking at night. I am glad I am not the only one struggling. I was trying to adjust the bedtime routine in hopes of him sleeping in later, but I just read not to do that. Guess I better figure out what to do instead. Thanks for the blogs. They are really helpful! Ever since the time change, my baby’s been refusing her fourth nap, requiring us to put her to bed at 630! And then she wakes in the middle of the night bc she hasnt gotten all 6 feedings for the day. Shes also wanted to stay awake longer though. Do u think her refusing her fourth nap is due to the time change or do u think shes trying to drop her fourth nap and its just happened at the exact same time as the time change? We did so well with the time change! We started changing her schedule 4 weeks before, by 15 minute increments, And added 15 more to it each week. So, when the time change actually happened- we were ready. She was used to waking up at what was 8 by then, but now was 7. (7 AM was her usual wake up time before getting ready for the change)So glad I listened to your advice!!! We have had no problems at all! Smooth as can be! G-Mans Mama, I have heard of a “nursing necklace.” Mom wears it to divert baby enough to keep nursing smooth. I would continue doing what you are doing if needed, and try something for his hand to do instead of go to his mouth. Maybe hold your hand. He could be teething so keep that in mind. Also, check out the blog label “nursing.” It is on the left side of the page. There are many tips by me and other readers. KJackson, yes, I woudl try to feed her a little later each day to get the metabolism right. She might not make it 30 minutes at first, but she can work up little by little. Elle, I would agree with your husband. When Brayden was a baby, my husband worked and was still in school. He didn’t get home until after 8 PM. His bedtime was around 9 or later for some ages. At some point, you are going to have to move up her bedtime (as she gets older). I don’t know exactly her age right now, but if she is 9-10 months or younger, I would say 9 is fine for now. You are welcome Erin!And G-Man…so part of what I said didn’t make sense. I thought he was putting his hand in his mouth (which I thought sounded difficult while nursing…lol). So teething, probably not. You are welcome Sojourning Bracketts! KJackson, either is possible, but I would wait until the time change affects are gone before assuming it is time to drop the 4th nap. Get things ironed out, and if the 4th nap is still an issue, address it. Doodiebug, I am glad things went well for you! It can be really simple if you are able to change things slowly. The dropping naps info is great! That makes more sense the me now. However, the past week has been really interesting. My baby is 19 weeks old today. I started rice cereal like my doctor said to. Some days he eats it very well and other days he just cries and doesn’t want to eat at all. So going along with this he has been on a 2.5 to 3 hour schedule. His wake time is around 6-6:30. The problem that I have is the night feeding. It seems like he keeps on waking up and wanting to eat around 5:30p.m, which throws off his last evening feeding at 7p.m. So, do I keep him up from 5:30 to 7 and then feed him at 7? Is it ok to feed him that close together? I feel like he is digressing in his schedule. I thought he would be at a 3.5 or 4 hour schedule by now since I have been feeding him solids. When he wakes up from his naps I wait anywhere from 15-30 minutes before I feed him otherwsie he would be at 2.5 hour scehdule still. Should I be doing that? Sorry for all of the questions. I just don’t know what to do. Gina, see this post:Eat/Wake/Sleep Cycle: http://babywisemom.blogspot.com/2008/03/eatwakesleep-cycle.htmlI wouldn’t feed him any closer than 2 hours for that last interval. It takes baby a while to be able to eat enough to affect sleep if hunger is the reason for waking, so hang in there! Hi, I regularly read your blog. It is truly amazing. My son is 10 mo. old and has always been a good night sleeper. This time change has really thrown him for a loop. His normal bed time is 7pm or 7:30. His normal wake time WAS 7:30 or 8:00am. Since the time change he is waking up at 6:30am on the dot, every morning! He is completely content staying in his bed and I usually leave him in there for 45min to an hour, hoping and praying he falls back to sleep. He never does. So he still gets fed at 7:15 or 7:30, but it doesn’t help in keeping him to sleep until then the next morning. The problem with leaving him in bed for that long is that it messes up the morning wake time period as well b/c he has been awake for almost an hour once I get him up. I have tried keeping him up later, putting him to bed earlier, etc. His naps have been out of whack as well. He normally gives me two 2 hour naps. In the morning, when I put him down for his first nap, he sometimes never goes to sleep. I was on a roll and really had this babywise thing down and now I feel like until April of next year, his new wake time is going to be 6:30. I know you suggested leaving him in his crib for a little while after he wakes up, which I do, but wanted to see if you had any other advice. Thank you in adavance!! That is pretty much all you can do unless you move waketime to 6:30. Hopefully with some time he will get used to things. I might consider moving waketime to 7 for now and see if other things can get in place, then try to move it back to 7:30. He isn’t napping well because he is overly tired, so a bad cycle is repeating itself over and over.